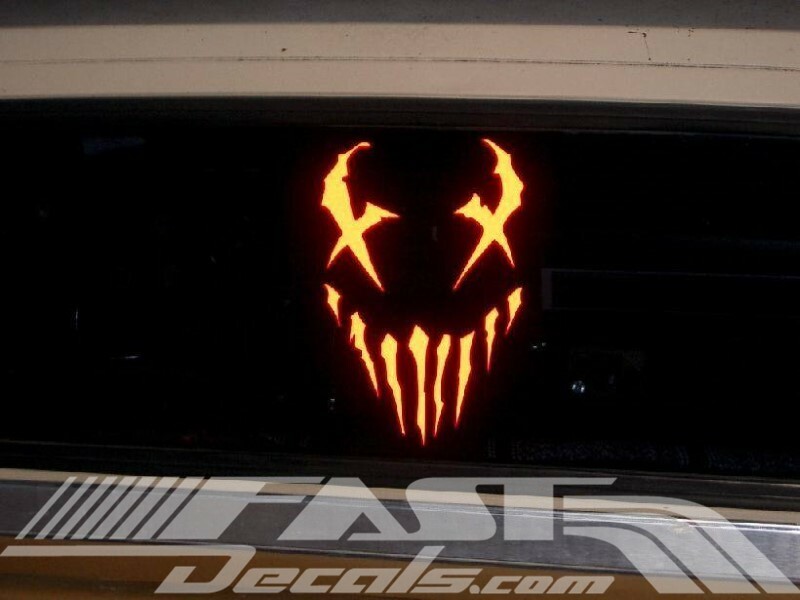 All die-cut style decals on this site can be made in Reflective Vinyl. Simply choose it as your color choice when ordering. 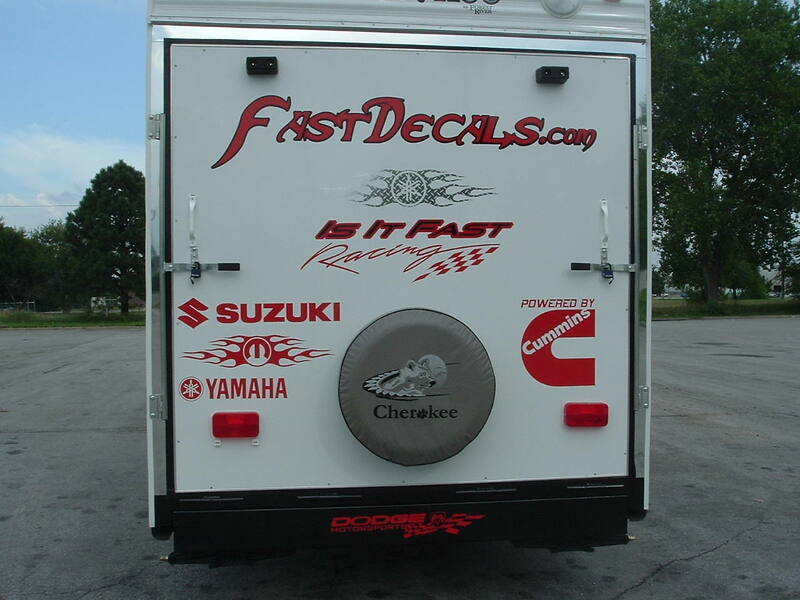 Full Color decals can be made in reflective too by choosing it as your material choice when ordering. *Special Notes for Reflective Vinyl. 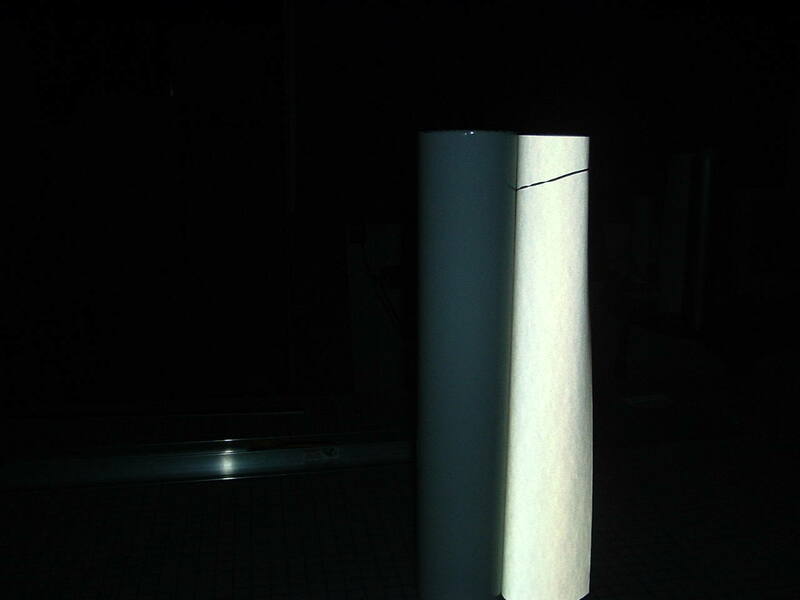 Reflectives should not be used on the inside of the glass if you want the color to show. The adhesive side is silver so if you use it on the inside, it will appear silver from the outside of the glass. 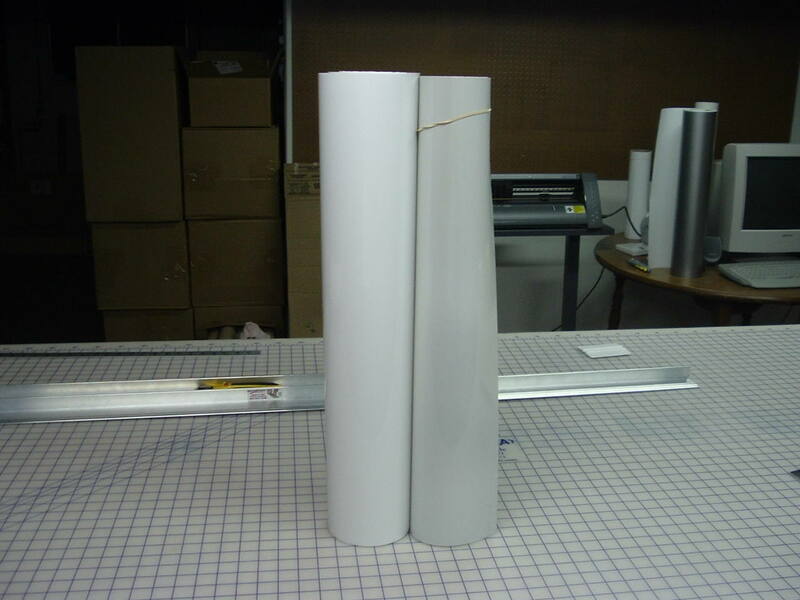 This vinyl is extremely thick (5-7 mil) so in most cases you will need to order 2-3 INCHES ABOVE THE MINIMUM SIZE AVAILABLE. 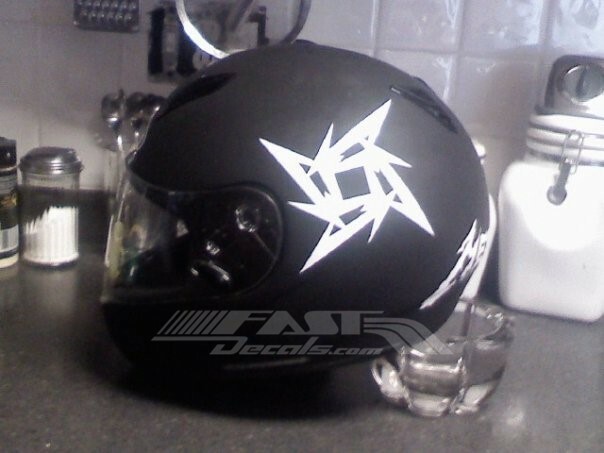 This will ensure that the decal can be made with all the proper details of the design. If the design does not have a lot of detail it may be able to be made in the minimum size listed. Please email if you have questions concerning this. The adhesive on this material is very strong. So it will stick to about anything. Like low friction plastic, textured wood, brick, etc. *Specialty (click to enlarge) On the RIGHT is the Reflective white in both images. The vinyl on the left is the Arctic White. 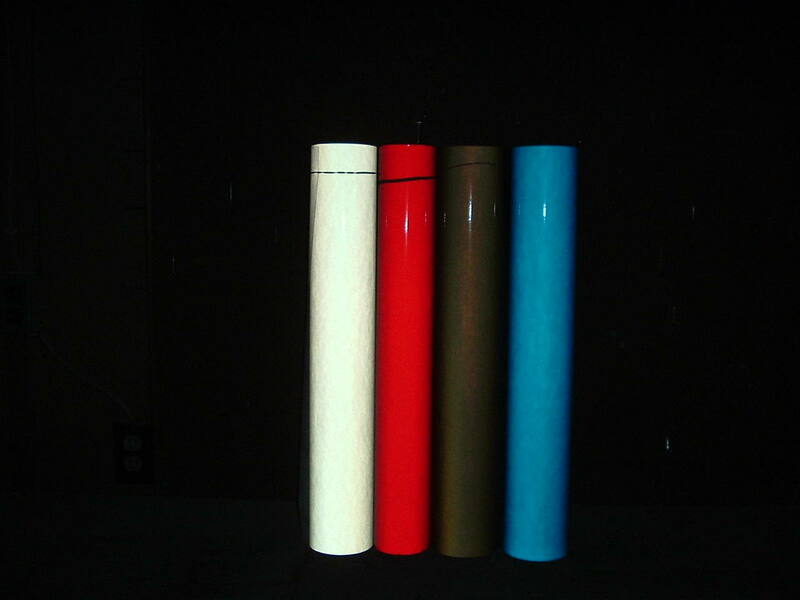 The Reflective is a pearl white during normal light. It has a tendency to look light metallic silver in certain lighting. NOT FOR INSIDE OF GLASS USE. The 1st image shows the Reflective Red on the left next to the cardinal red on the right. This image was taken in total darkness with a Flash to show the difference between the 2 reds. 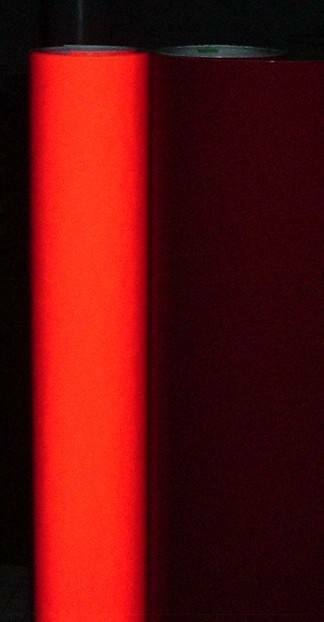 The Reflective Red is very close to Cardinal Red in regular light. NOT FOR INSIDE OF GLASS USE. 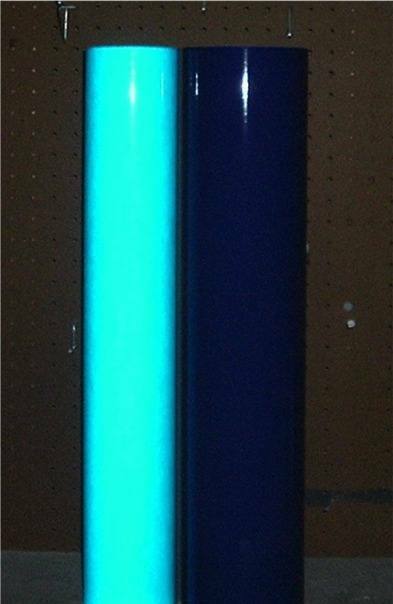 *Specialty (click to enlarge) Shown next to royal blue in total darkness with a flash. NOT FOR INSIDE OF GLASS USE. *Specialty (click to enlarge) Shown next to Ultra Black in total darkness with a flash. NOT FOR INSIDE OF GLASS USE. *Specialty (click to enlarge) Shown next to Canary Yellow in total darkness with a flash. NOT FOR INSIDE OF GLASS USE. You may buy any of the colors listed above at vinyl by-the-foot by clicking here. 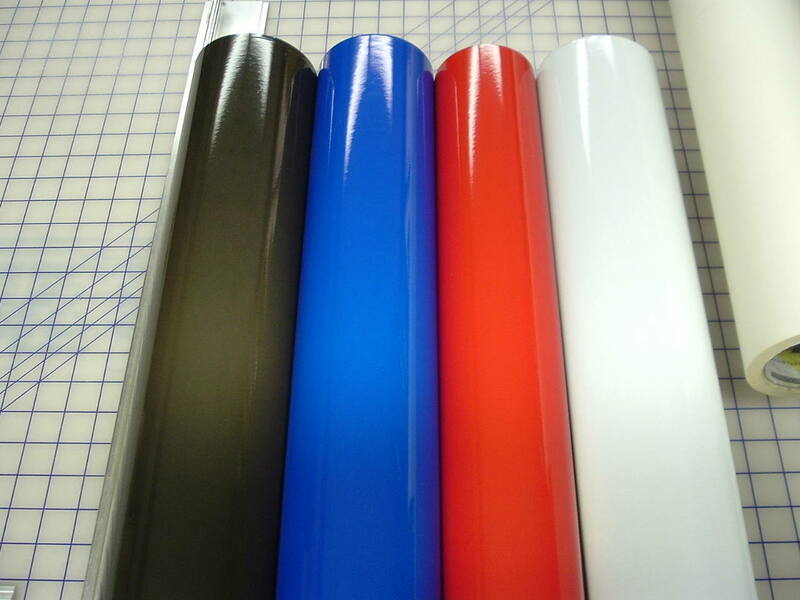 If you need a custom reflective color or pattern printed that can be ordered from this form. 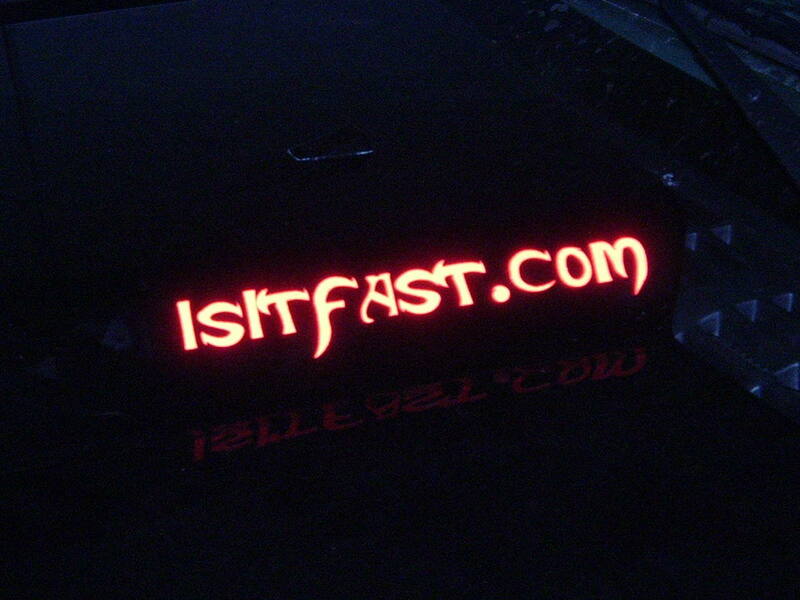 Note that you can order ANY design on this site as a reflective decal. 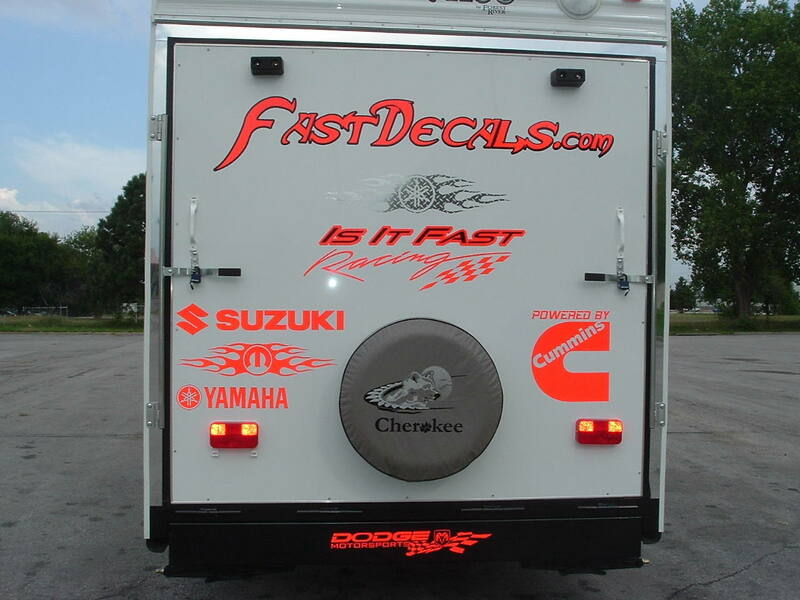 You will choose the reflective color you want if it is a single color die-cut style decal. 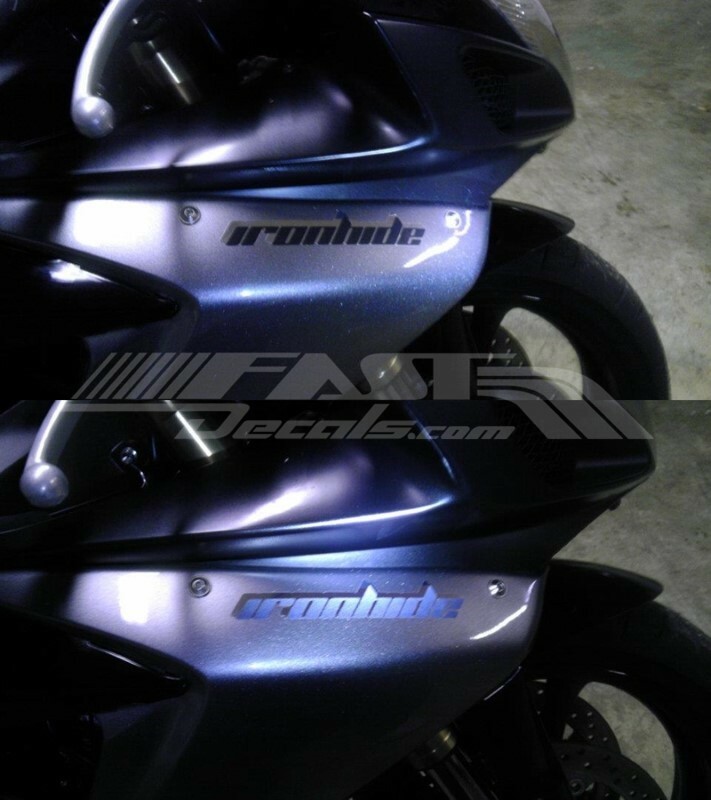 Or you will choose Reflective as your material choice if it is a full color style decal. Our reflective decals work great on helmets. 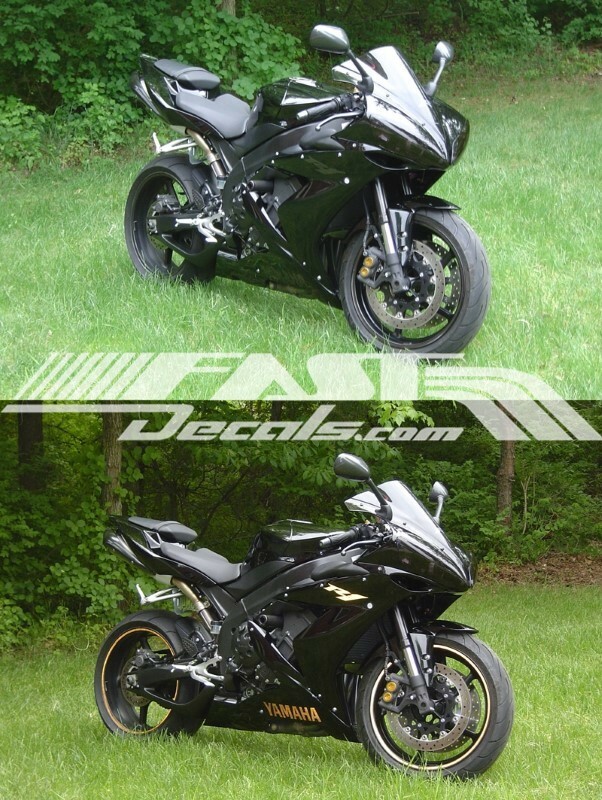 Our reflective decals also work great on motorcycles for increased visibility. 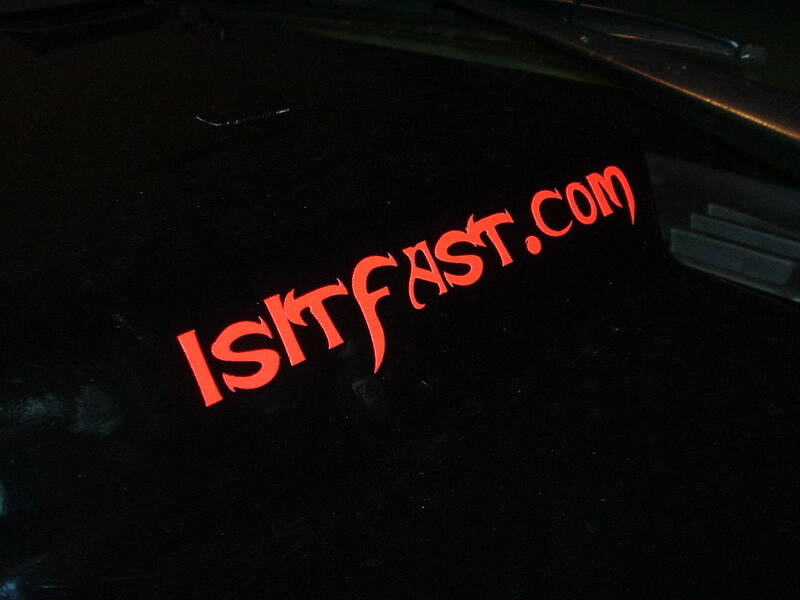 Our reflective decals are some of the strongest decals you can buy. They are engineering grade designed to last for 7+ years in harsh outdoo condidions. 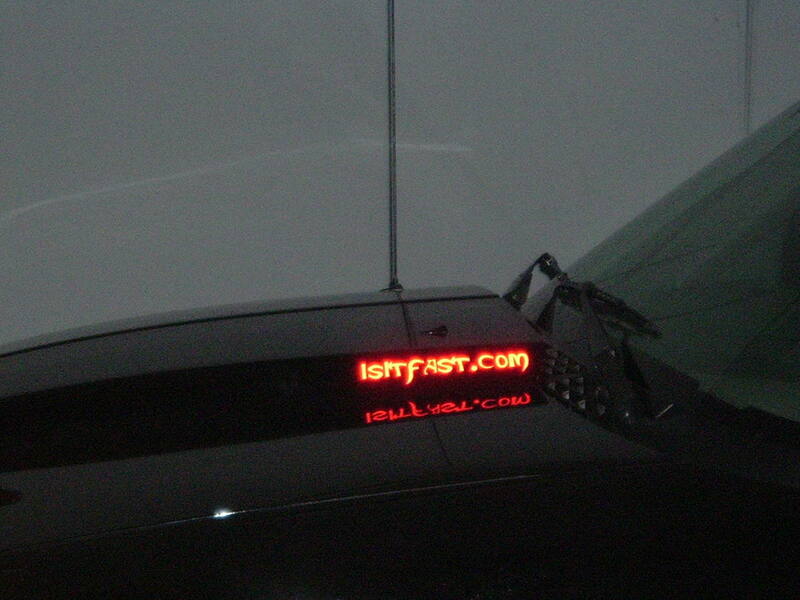 Our reflective decals can be ordered in sheet form by the foot too. 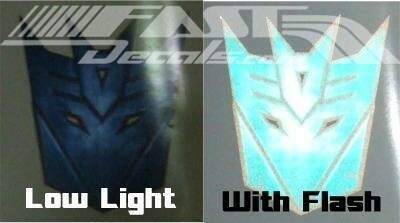 Example Images below show reflective decals with indirect light or a flash being used.